It was officially announced yesterday that LeBron James will star in the long-awaited Space Jam 2 and that Black Panther director Ryan Coogler is set to produce while Terence Nance will helm the sequel. 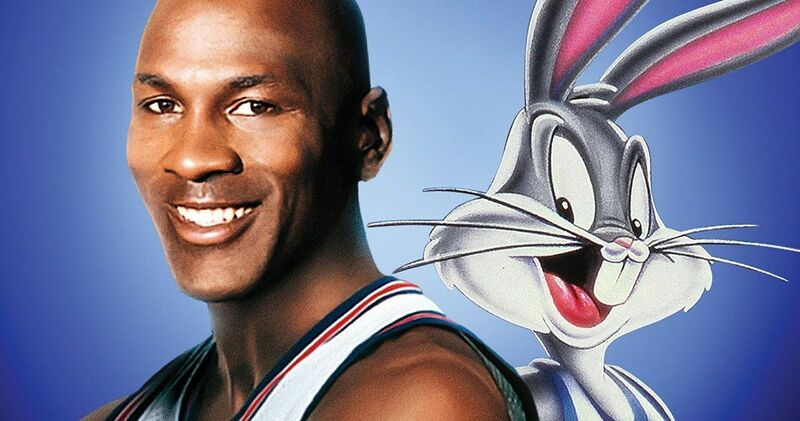 The 1996 original movie starred Michael Jordan alongside Bill Murray and the Looney Tunes characters, so there has been a lot of talk as to whether or not Jordan will make a cameo in the film. Fans of the NBA legend can rest easy in knowing that there are talks happening at this moment to get him involved in some capacity. While there are talks of getting Michael Jordan on board for Space Jam 2, the ball is completely in Jordan’s court. The 6-time NBA Championship winner does not need to come out of retirement to do anything that he does not want to do, which includes appearing in the Space Jam sequel. Maverick Carter, Lebron James’ childhood friend and business partner recently talked about Jordan signing on. He had this to say. Maverick Carter is entirely correct. Michael Jordan does what he wants to do and doesn’t have to take part in Space Jam 2 at all. However, fans of the original movie would be thrilled to see Jordan return for another feature-length Nike commercial alongside LeBron James. And who knows, with LeBron James officially attached and Ryan Coogler, Jordan may actually want to step up for some fun. As for Space Jam 2, it has been rumored that the movie will not be a direct sequel to the original, but it will take place within the same universe. All that really matters is that the Looney Tunes are coming back to the big screen. Sure, people will be stoked to see LeBron James and some other NBA stars, but the animated legends are the real draw here. Bugs Bunny is going to need some help defeating some bad guys on the court, and James might not be the only one who can help, which is where Michael Jordan could come back. LeBron James likens being cast in Space Jam 2 to being in a superhero movie. James admits that Batman is his favorite hero, but notes that he always knew that he could never be Bruce Wayne, so instead, he’ll help out Bugs Bunny and be a hero on the court, like he is in real-life. The NBA star also praised Ryan Coogler for giving the world something that he never had growing up, which was “a superhero movie with an African-American cast.” You can read more of James’ thoughts on Space Jam 2 as well as the possible inclusion of Michael Jordan over at The Hollywood Reporter.